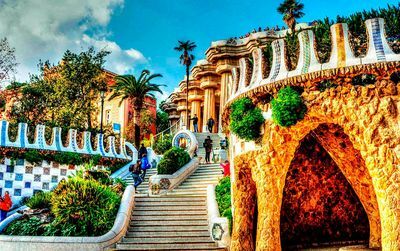 All our tips to make your Barça experience awesome ! 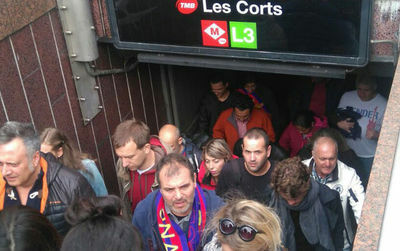 On match days, go to the Camp Nou by metro! 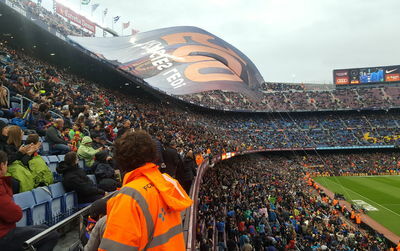 It's game day at Camp Nou and you have your ticket to assist to the match. You are lucky ! The question is: How do I go to the Camp Nou to see the F.C Barcelona play?. Without hesitation I recommend you go with the Line 3 of the metro. It's worth it. 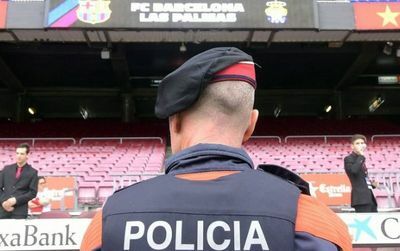 Do not visit Camp Nou on match days! Warning ! 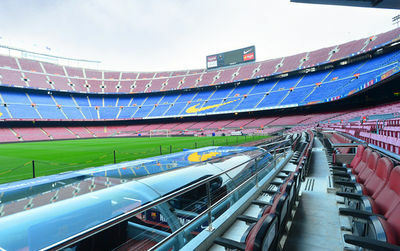 On match days Camp Nou is partially closed. Enjoy another time to visit his museum. There is only one place in the world where you can be photographed with 5 Ballon d’Orof the same player. Those are the ones of Leo Messi at the Museum of the Camp Nou. 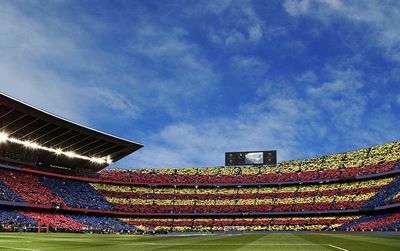 How to choose a match at Camp Nou? Here are some tips to make your choice! 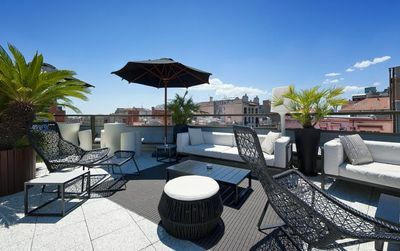 Nice bars and cheap restaurants around Camp Nou. 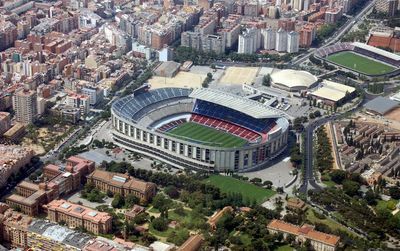 Small addresses for your visit to the Camp Nou stadium or to assist a FC Barcelona match on an empty stomach!! 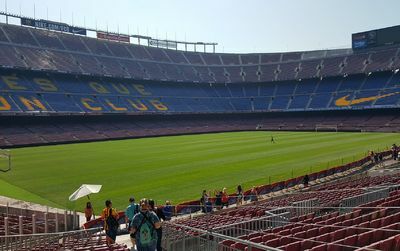 The Camp Nou is located in the Les Corts neighborhood, a few steps from Avenida Diagonal, one of the main arteries of the city, which runs through Barcelona from side to side. 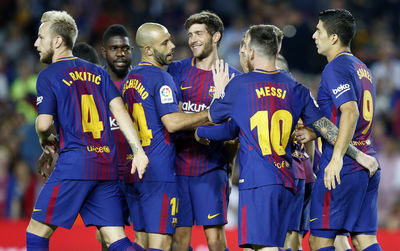 We want to explain you what each number of your FC Barcelona ticket means, so you can reach your seat in an easy way..
Be aware of the Camp Nou safety regulations before assisting an FC Barcelona football match. New at Camp Nou for 2019! Two new products in this beginning of 2019 at Camp Nou. 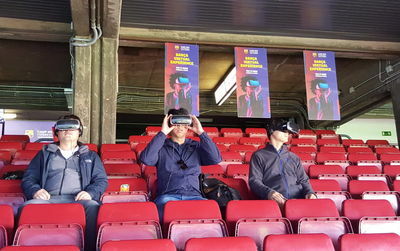 A virtual tour to fully appreciate the atmosphere of the stadium and a film projected on a dozen giant screens on the last sporting achievements of the azulgranas. Emotions guaranteed!